I love The Cat Bed title however, over time, I’ve been feeling that it’s not quite right anymore. I was also concerned that a lot of my traffic was accidental due to searches for Lolcats on Google. I guess with anything continually evolving things will naturally change and I think now is the time for a big one. 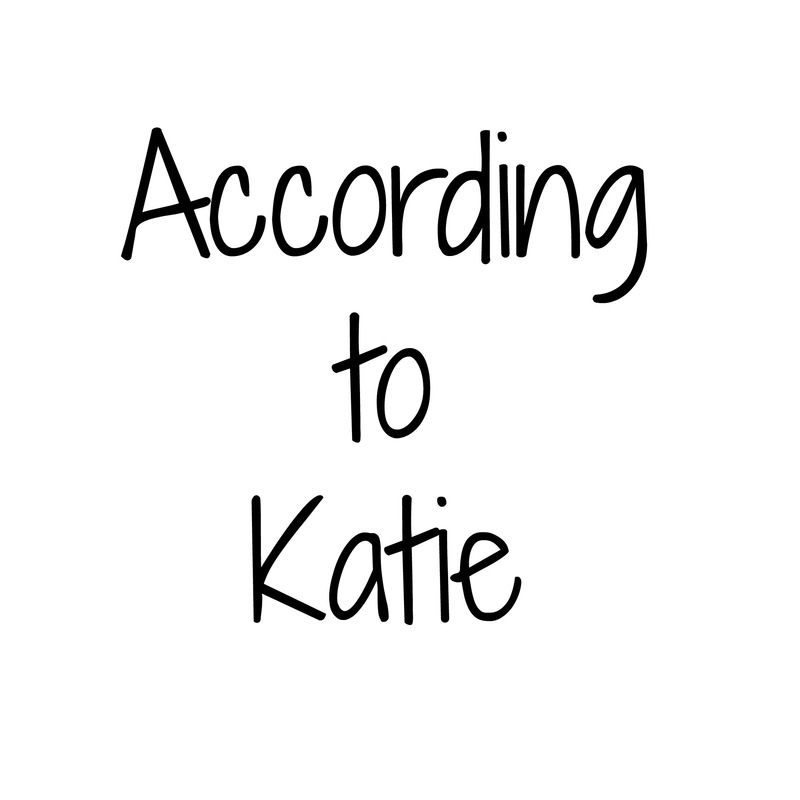 After doing a vote on Facebook (thanks to all who took part) I have a new blog name – According to Katie. As you read this you may have already noticed come changes. I also plan on doing some more alterations on the blog over the holiday period so if you see something a little out of whack don’t worry, it’s just me tinkering in the background! I think I’ve managed to redirect everything so The Cat Bed traffic should still end up here but if you notice something not working quite right please let me know. I’m not the most tech-savvy but I’m desperately trying to learn. That’s what I was aiming for. It took me a long time to create one I was happy with though. Haha I wish it were. My hair is currently short. No, alas it is someone else’s hair.